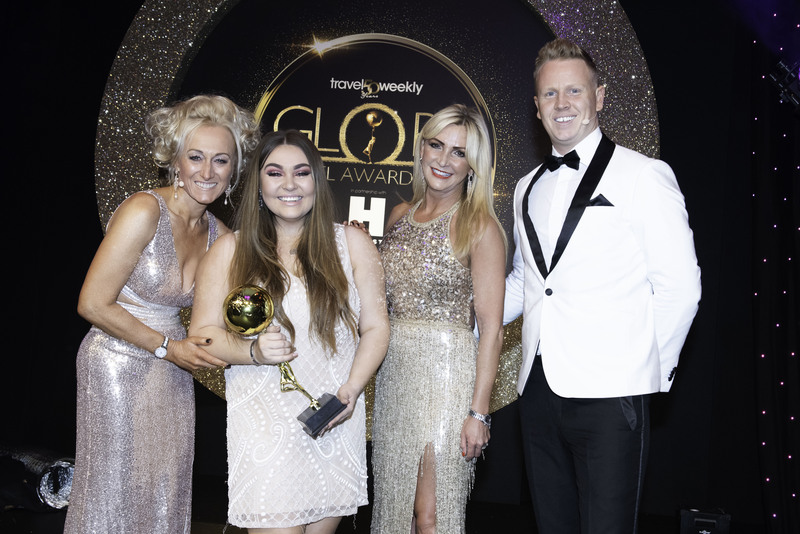 The Hays Travel Foundation is proud to learn that apprentice, Alexandra Turner-Davis, from the Jarrow branch, has received The Penny Akam Unsung Hero Award at the Travel Weekly Globe awards. This very special award was introduced in 2010 to commemorate the life of Penny Akam, who organised the Globe Travel Awards for many years and who lost her battle with cancer in 2008. The Penny Akam Unsung Hero Award recognises unsung heroes in the travel industry, and is presented to an individual who characterises the special qualities that Penny embodied. Alex has faced her own battle with cancer, being diagnosed with progressive throat cancer in 2014 aged 14, when she was given three months to live. Alex beat the odds and in January 2015, after receiving an adult dose of chemo-radiation five days a week over six weeks, she was given the all-clear. Alex raised more than £50,000 for the Teenage Cancer Trust during her treatment and went on to set up her own charity foundation, Alex’s Angels, to help families of children with the disease. The Hays Travel Foundation was very happy to donate to the charity Alex’s Angels in 2017, helping families of children suffering from cancer. Alex is a very successful member of the Hays family and we are looking forward to seeing her grow within the company.